Blogging can get sticky when it comes to ethics. 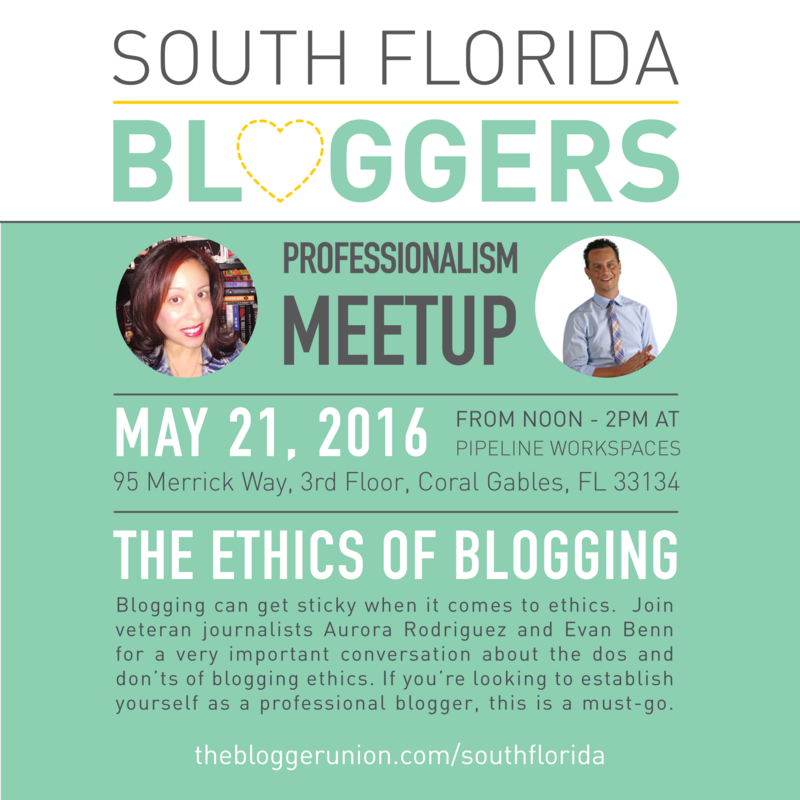 Join veteran journalists Aurora Rodriguez and Evan Benn for a very important conversation about the dos and don’ts of blogging ethics. If you’re looking to establish yourself as a professional blogger, this is a must-go. Award-winning Miami Herald food editor Evan Benn fell in love with journalism during an 8th grade field trip to his hometown newspaper in York, Pennsylvania. He went on to study journalism at Northwestern University in Chicago and upon graduation was hired as a reporter at the Miami Herald. Benn has covered everything from crime and courts to hurricanes and the economy for the Herald, twice earning the honor of Florida Young Journalist of the Year. His passion for food and cooking landed him a job as the beer columnist and restaurant critic for the St. Louis Post-Dispatch in 2009. While in St. Louis, Benn authored a book, “Brew in the Lou: St. Louis’ Beer Culture — Past, Present & Future.” He returned to Miami in 2013 and became the Herald’s food editor, where he oversees two weekly Tropical Life print sections as well as all food and drinks coverage on Miami.com. Benn writes about beer, food and cocktails for Beer Advocate, Esquire, Businessweek and other major publications. His beer coverage for the Herald won a 2015 first-place writing award from the Society of Professional Journalists of Florida. Evan is currently Editor in Chief for @miamiindulge. 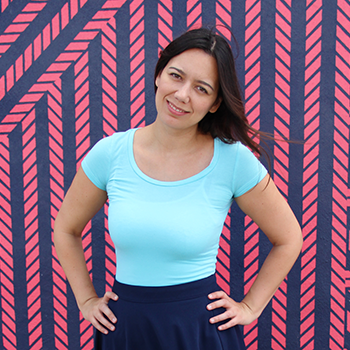 Aurora Rodriguez is a teacher, Professor writer and blogger based in Hollywood, Florida. A journalist for over 15 years, Aurora’s work has appeared on national publications such as J-14 Magazine and local publications such as The Miami Herald and Where South Florida magazine.